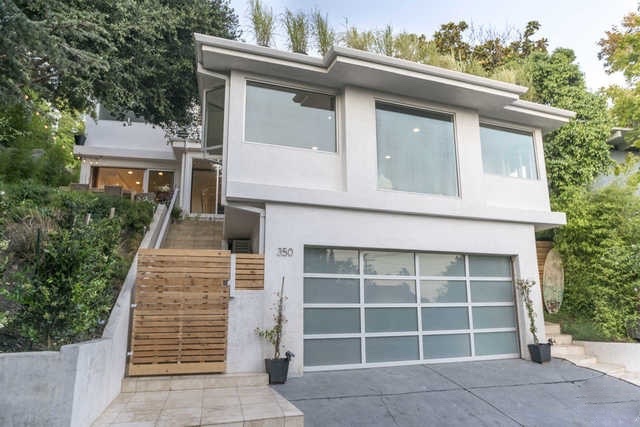 Newly completed ocean and canyon view contemporary in highly sought-after Santa Monica Canyon. This artistically designed renovation and expansion utilizes exposed structural steel, hardwoods and white walls to create a light, harmonious and serene living environment. The open flowing floor plan is perfectly balanced with each area of the house blending into each other while maintaining a subtle separation. Multiple decks, patios and an upper grassy back yard create seamless indoor/outdoor living areas. Both functional and stylish, the gourmet kitchen features a center-island design with high-end appliances. An at home retreat, the master suite is graced by ocean views, spacious balcony, a large walk-in closet and a luxurious bath. Impeccable taste and style lend softness and warmth to this contemporary showplace.